Guest Post: It’s All In The Mindset | Think! 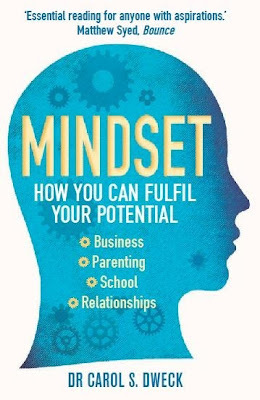 In this follow up to my earlier post on mindsets, Carol Goodey reviews Mindset: How You Can Fulfil Your Potential by Carol Dweck. In my original piece, I reflected on an infographic which described an open vs a closed mindset, and laid out some ideas for how a teacher could encourage their students to adopt the former, with the aim of helping them reach their language learning objectives. Now Carol reviews the book that inspired the image, and gives us a more detailed look at how it can affect us as educators. In James’s earlier post, he shared a graphic of the two mindsets identified by Stanford University psychologist Carol S. Dweck Ph.D in her research. The graphic is a succinct summary of the two sets of beliefs about learning. I’ll quickly reproduce that information here before going on to highlight some implications for learning from the rest of Dweck’s recent book: Mindset: How You Can Fulfil Your Potential – a book that I had coincidently started to read before James published his post. This is not a weighty, academic book, but the ideas in it are based on years of academic research and it serves as a good introduction to these. So, looking at the graphic, we find out that people with a fixed mindset believe that intelligence is static. This belief leads to a desire to look smart and therefore a tendency to: avoid challenges; give up easily; see effort as fruitless or worse; ignore useful negative feedback; and, feel threatened by the success of others. By acting on the belief that our qualities are fixed, people are less likely to reach their full potential. Opposite this, we see that the belief that intelligence can be developed underlies the growth mindset and leads to a desire to learn. There is, therefore, the tendency to: embrace challenges; persist in the face of setbacks; see effort as the path to mastery; learn from criticism; and, find lessons and inspiration in the success of others. Because of these tendencies, people are more likely to achieve higher levels of success. From an early age, we are continuously interpreting and making sense of the world around us, attaching meaning to what people say and do, and forming beliefs about our and other’s abilities. These beliefs can have a huge impact on our actions and the lives we choose to lead. Mindsets, according to Dweck, are an important part of our personalities, but just as intelligence is not set in stone, neither are our mindsets. We can change our mindset, even if temporarily. So, assuming that the growth mindset is most conducive to learning, what can we, as educators, say and do to influence our learners. Dweck and her colleagues developed a series of workshops to teach students about the growth mindset. In it, students find out how the brain develops when people practise and learn new things. On learning about the brain in their first workshop, one disengaged student asked emotionally “You mean I don’t have to be dumb?” Following the workshop, his teacher reported that he was putting a lot of effort into his homework, where before he didn’t submit any, and as a result of this increased effort improved his grades considerably. It may be important to note here that growth-minded people don’t believe that anyone can become anything, but that a person’s true potential is unknown and unknowable. Dweck quotes Howard Gardner who concluded in his book Extraordinary Minds that very successful people have “a special talent for identifying their own strengths and weaknesses.” This, Dweck remarks, is a talent that people with the growth mindset have. We can help people identify what they need to learn, and we can help them to be realistic about what they can’t do… yet! Some people with a fixed mindset may think they are not capable of some things but others may also have inflated ideas of their abilities, which will also affect their learning. We also need to encourage people to recognise what they can do and what they have learned either with you or in other (perhaps less formal) contexts. We all want to help our learners to feel good about themselves but we need to be careful how we do this. From her studies, it became very clear to Dweck that “praising children’s intelligence harms their motivation and it harms their performance.” When we tell someone they’re smart because they did the work so quickly, we’re communicating that if they don’t work quickly they’re not smart. If we tell someone that they’re brilliant because they got an A without studying, we’re telling them that they’re not brilliant if they need to study. We want our learners to work, to learn and to continue to develop, so it makes sense to value learning and effort rather than what they can already do with little work. If someone is finding learning difficult, we need to help them find ways that work for them. Watch them as they tackle a piece of work. Ask them what they’re thinking and how they feel. Let them try different ways of approaching an activity. Make suggestions. Tell them that there’s not just one way to learn. Scaffold. Highlight when they accomplish something they originally didn’t think they could. Encourage them to reflect. Increase the challenge. Help them see that they can learn! A lovely example of this can be found on Vicky Loras’s blog. It’s the simple things that make a difference – and I do like to keep things simple! Sometimes we just need to highlight what appears to be common sense in case we take them for granted, or assume that everyone thinks or believes like we do. What’s important to me is the idea that a person’s potential is unknown. 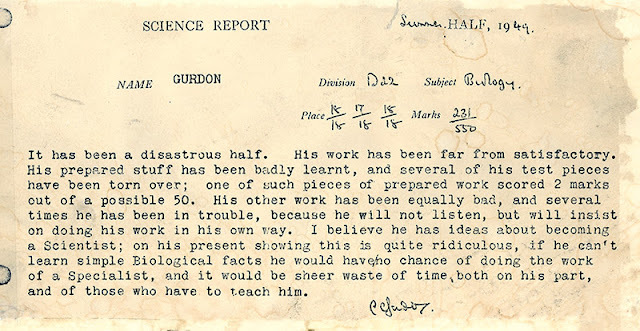 We can’t write people off as not being good language learners, or tell them that science is not their thing. It may well be that they are finding it difficult right now, but there are different ways to learn, different approaches and strategies to try, and we should help them to explore these different ways. We can also learn from them if we don’t impose our way of learning, and are open to finding out what works for them. Dweck, C. (2012). Mindset: How You Can Fulfil Your Potential. Kindle Edition. Gardner, H. (1997). Extraordinary Minds. New York: Basic Books. Carol Goodey is currently an Adult Literacies & ESOL Worker in Community Learning and Development with a local authority in Scotland. She's also taught general English & EAP to students coming to study at university in Scotland, and does some tutor training. She has an MSc in TESOL and really enjoy keeping up with what’s going on in the ELT/ESOL world, via Twitter (@cgoodey), forums and blogs and, whenever I get the chance, talks and conferences. She blogs at http://cgoodey.wordpress.com/.